Yesterday, for the first time since moving to Denver, I went storm chasing. Thanks to the movie Twister, the discovery channel’s TV series on storm chasers, and other media, most people are familiar with the practice of storm chasing. Basically, it is groups of people driving around looking for severe thunderstorms. Seeing a tornado would typically be the biggest prize of all, but I have seen some really amazing non-tornadic storms in the past, including one that where we measured 71 mph winds from our vehicle. I used to chase storm a lot more back in college and graduate school, but the combination of a more regular work schedule (essentially the real world), being around less meteorologists, and higher gas prices have made this a less common occurrence for me. One of the things I find the most interesting about storm chasing is that it commonly takes you to places you would not otherwise visit. Tornadoes and severe thunderstorms are most common on the Great Plains, an area a lot of people just fly over. As a result of storm chasing, I have actually spent considerable time in the Great Plains from Texas north to South Dakota. Yesterday’s chase was no different, as our initial target was near the borders of Colorado, Kansas, and Nebraska. We head out East from Denver on I-76, exit at Fort Morgan to take U.S. 34 East to Wray, CO. On the way there, one thing I keep seeing is cows. 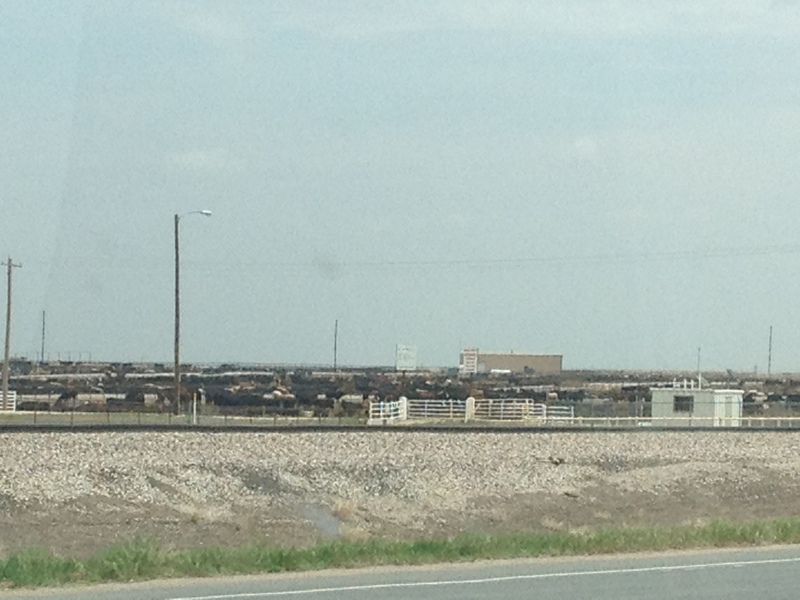 These gigantic lots of cattle seem to show up everywhere in Eastern Colorado. I remember seeing a few on previous storm chases, and a couple of big ones when I went to Greeley last year, but I must have come across something like ten of these between Fort Morgan and Wray. These cows are kept in close quarters, and are most likely injected with some kind of hormones to maximize their growth. They are probably not the best for you, and Chipotle and other restaurants take pride in not using beef from lots like this. But, I guess it puts food on the table for some people who cannot afford to pay more for grass-fed or free range beef. We spent a little bit of time in Wray, CO waiting for the storms to fire up. Wray, CO is also quite an interesting place. It is in the Easternmost part of Colorado, less than ten miles from the Nebraska border. In the Republican River valley (North Fork), it’s elevation is only 3500 feet. It would take about three hours for someone to drive from Wray, CO to the mountains. In fact, within the state of Colorado, it would be nearly impossible to find a settlement farther away from the mountains than Wray. In essence, it is the most un-Colorado like place in Colorado. This must be especially difficult for people from Wray, or Julesburg, or Lamar, or any other small town in the easternmost part of the state. I can imagine that anytime anyone tells people they are from Colorado, they will would be immediately asked about skiing, snowboarding, hiking, or any of the other activities that are associated with mountains, and therefore associated with Colorado in the heads of almost all Americans. People from there must get tired of having to explain to them that while they are technically from Colorado, they may as well be from Kansas given the nature of the area. Most of yesterday’s chase was spent in the northwestern part of Kansas, kind of along U.S. highway 36. After initially going East from Wray (into southwest Nebraska) to find atmospheres with more moisture and greater favorability for severe storms, we went South to chase a few storms that had popped up in northwest Kansas. The storms we found were quite large, but did not produce tornadoes. The tornado producing storms actually ended up being in two places. One farther Southeast from where we were, along I-70 between WaKenney and Hays, and another up in the Nebraska panhandle. 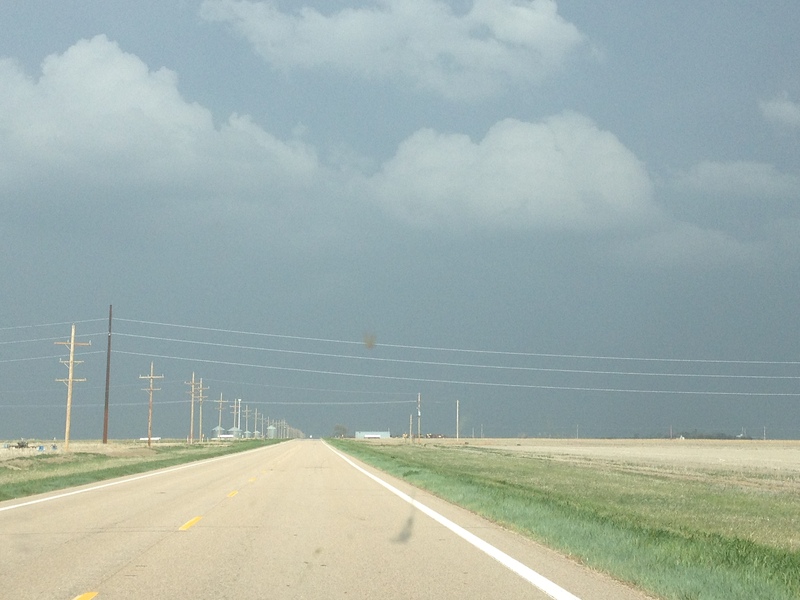 Although we did not see any tornadoes, we did see some major storms. 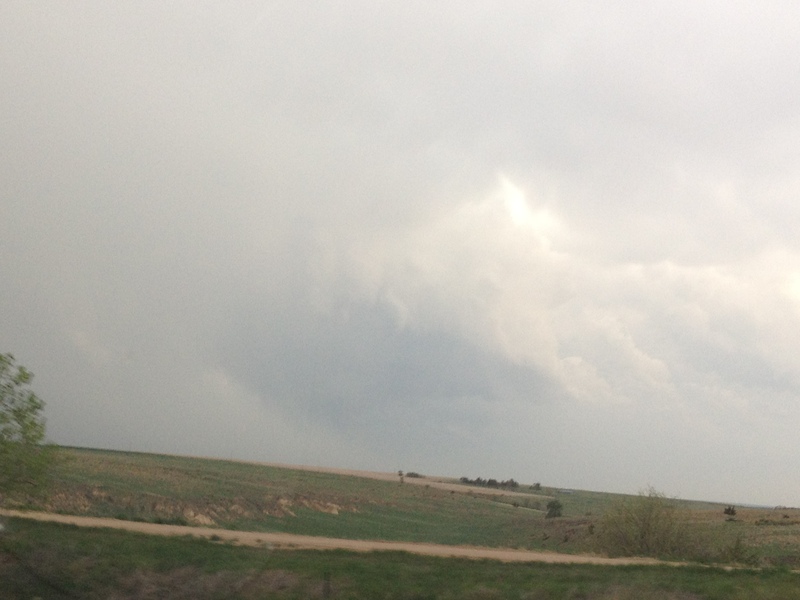 Additionally, we learned something about storm chasing. Being from the midwest, I am use to chasing faster moving storms. Storm motions in Illinois, Indiana, Iowa, and Wisconsin, storms tend to move 30-40 mph quite frequently, and sometimes even faster. When storms move that fast, it is important to stay ahead of the storm if you want to keep following it, and I’ve lost storms by falling behind before. The storms we chased yesterday were moving quite slow, 10-15 mph. We ran into trouble by trying to hard to stay ahead of the storm instead of going straight towards it. It is kind of like the difference between playing fast-pitch baseball and slow-pitch softball, a major adjustment. Hopefully, I’ll get another chance to chase this year, but I have a lot of other travel plans for June, much of which will be to places I have never been to before. I’m still glad to have had a learning experience if nothing else. This entry was posted in Colorado, Kansas, Nebraska, Storm Chasing and tagged Colorado, Feedlots, Kansas, Storm Chasing on May 19, 2013 by Stephen Jaye.